Last Friday Wayan announced that five years after he founded OLPC News he will reduce his engagement here. You will continue to see posts and comments by him appear on the frontpage and in the forums but I have now taken over day-to-day operations. Before I dive into explaining some of my ideas for the future direction of OLPC News I really want to thank Wayan for everything he has done for olpc with this endeavour and all his other related activities. I think it's safe to say that few individuals have shaped the discussion around OLPC as much as he has. OLPC News has also always been a space which brought people together which in turn led to further discussions, projects, events and even the founding of communities and organizations. On a personal level I would likely also not be involved in olpc if it weren't for Wayan. After all it was a discussion about OLPC which we had in a bar of the Grand Hyatt Taipei during the 2006 Computex tradeshow that made me want to learn more about the project. Before that I had been interested in OLPC but was focused on the low-power and low-price characteristics of the hardware more than anything else. It was only after that discussion and when reading his posts in the early days of OLPC News that I started to understand just how massively complex - and fascinating! - this whole undertaking really was. three OLPC related videos Charbax had taken at CES 2007. Re-reading that article now is quite amusing, particularly when I spot mistakes such as writing "OX" or "X0" instead of XO! As if all of this weren't enough he later encouraged Bryan and me to step up to the role of OLPC News co-editors in May 2008, enabled my OLPC News South America Road-Trip in 2010, and now asked me to take over leadership of the site. Wayan has been a tough publisher, excellent advisor, generous host, and great friend all throughout the process. I sincerly thank him for all of that! 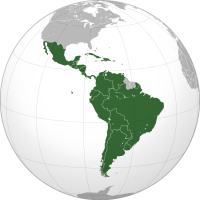 With regard to the future of OLPC News I will continue to expand our efforts to publish posts in Spanish as Latin America is where a lot of the OLPC action is happening these days. For this task we're still looking South American voices so please get in touch if you want to contribute. Similarly I'm going to dedicate more time directly speaking with the people working on OLPC projects - particularly some of the smaller ones - around the world to be able to report on how things are going. Yes, I sometimes do wish that everyone kept a regularly updated blog from which I can simply copy-paste the most interesting snippets. However I think taking the time to listen to people, put things into context, and then compile everything into readable articles is one type of coverage OLPC News is in a very good position to provide. Another area where we have often been - rightfully I think - critized is the lack of coverage of Sugar and all the developments around it. It will take a while to figure out the right perspective and focus here but you can definitely expect to see more posts about Sugar, Activities, and how to use them in the future. There are many more ideas for enhancing OLPC News floating around my head and notes. However I think it's better to focus on a manageable set of tasks for now and then see how we go from there. As always please feel free to let us know what you think by posting a comment below or e-mailing us at editor_at_olpcnews_com. We are also looking forward to hearing from you if you want to contribute articles or have suggestions for projects or stories we should cover. Nice introduction. Great to hear that there will be coverage of Sugar and all the developments around it. Looking forward to more posts about Sugar, Activities, and how to use them in the future. For many of us in the U.S. there has been an unmet need for information linking OLPC and Sugar. We love the the OLPC vision and the green machine, but other than a few XOs that come up on eBay, they are unobtainable. Learning about Sugar on a Stick has been an eye-opener. Wow. It is possible to have at least some of the OLPC benefits in a Windows-centric education system. This is really exciting! More Sugar, please. Val, you can search for 'olpc lending libraries'. Thanks Wayan for your years of commitment of keeping OLPCnews alive. It has been one of the only place to read update and counterpoints to OLPC activites. And its great to hear that Christoph is taking this into the future. 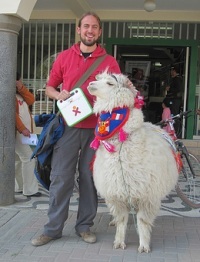 Thanks for all of your hard work on OLPC News, Wayan and Christoph! The future directions sound wonderful and fascinating, and I look forward to more great years of OLPC discussions ahead.